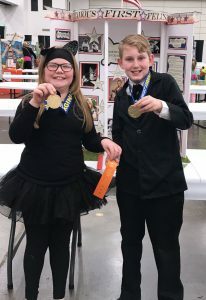 Marshall County Schools had 1st place winners in three different categories at the annual West Virginia Social Studies Fair held in Charleston this past Friday. 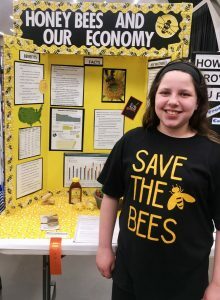 Mylie Scott, a 5th grader from Sand Hill Elementary School, won 1st place in the Division 1- Economics (Individual) category for her “Honey Bees and Our Economy” project. 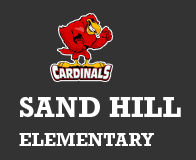 In the Division 1- Political Science (Group) category, Glen Dale Elementary 5th grade students Jayden Parker and Gabe Collins placed 1st for their “Famous First Felines” project. 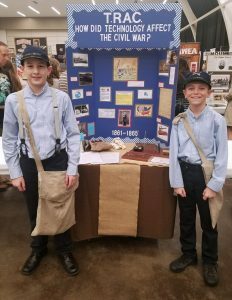 Glen Dale Elementary 4th graders Brody Baker and Jacob Thames earned 1st place in the Division1- U.S. History (Group) category for their “Technology and the Civil War Soldier” project.